Internet writers have dreamed of success like this for decades. Back during the 2000s, when blogs were new, pioneers of the form argued over when blogs would be art. Pioneers of the form decided that a blog would have to be fiction, would have to be well-written, and would have to be perpetrated onto an unknowing audience. To fully engage with a fictional blog as a blog, they argued, the readers could not know it was fictive. Readers must think they are engaging with the world as is. Those pioneers imagined what mainstream success for blog fiction would look like. Vast audiences would get caught up in the narrative and interact with the “author.” The work would be created, or improvised, as it went along. Blog fiction, they said, could be blockbuster. Instead of blogs, now we have vast, corporate-owned networks: Facebook, Twitter, Tumblr. Fiction is there, and it can be authorial — when it looks something like @MayorEmanuel — or generative and networked — when it looks something like fan fiction or #seapunk culture. Both of these types of fiction thrive in different ways in the ecosystem, and both help us understand the network and find our place within it. We’re even used to them by now. And today we learned that the Twitter account @horse_ebooks is probably the most successful piece of networked fiction of all time. What was the horse? Supposedly, the account was a spambot, powered by an algorithm. Its goal was to sell ebooks, and every so often, one of its tweets would link to some ebook to buy. The magic of the horse was in the tweets without links. Working from a huge body of text, the account supposedly linked words into not-quite-coherent, sentence-like clumps called Markov chains and extruded them onto Twitter. @Horse_ebooks charmed sometimes because its text-clumps were delightful, sometimes because its text-clumps were ominous, and sometimes because it seemed to just get the zeitgeist. @Horse_ebooks tweets would accumulate hundreds of retweets and favorites in seconds. Twitter users would respond, sometimes, if the horse seemed to be posing a question; they’d adopt certain horse text-clumps as their own catchphrases or watchwords. In her reveal, Orlean talks of t-shirts and tattoos the horse spawned; a Chicago poet, Erin Watson, even kickstarted a book of poetry based on* @horse_ebooks tweets. A culture flourished around @horse_ebooks, in other words. The putatively-computerized creativity of the account generated a creativity among its audience. The tweets went out to a geographically-disparate readership, united only by its participation in the network, and it responded to and rewarded the horse in the network. @Horse_ebooks — right down to its name, which contains both an underscore, a kind of digital placeholder, and the @-sign, demarcating a “thing on Twitter” — lived, thrived, flourished, and was inseparable from the network. The promise of the horse? That it was the network itself. 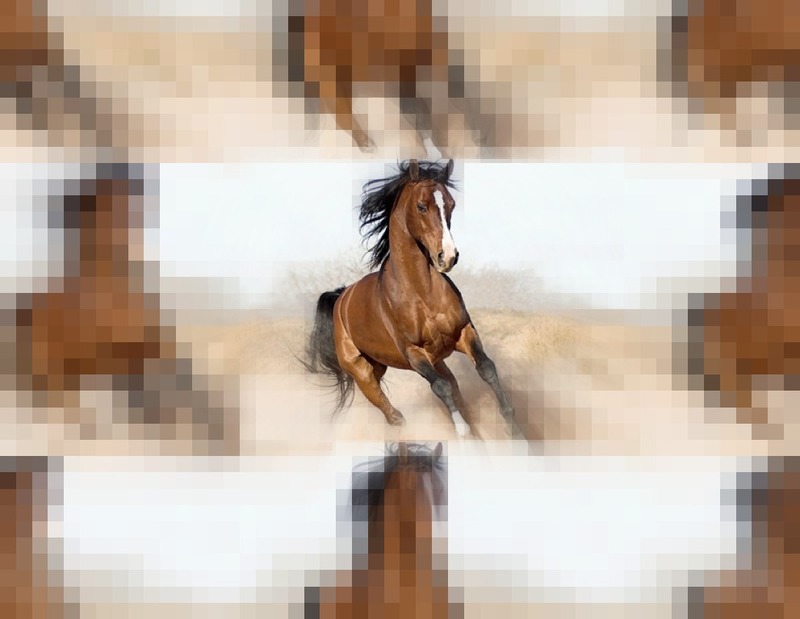 @Horse_ebooks, reporters told us, was powered by an algorithm: The nuggets and aphorisms it shot into cyberspace were human words, written, to some approximation, by humans. Was the source text for @horse_ebooks ebooks, or books, or just the web itself? It wasn’t clear. But we loved the horse because it was the network talking to itself about us, while trying to speak to us. Our inventions, speaking—somehow sublimely—of ourselves. Our joy was even a little voyeuristic. An algorithm does not need an audience. To me, though, that disappointment is only a mark of the horse’s success. We believed we were watching the digital work mutter happily to itself about us, its anxious masters. Maybe the digital world was trying to sell us something, too, but its method of doing so was so blissfully ignorant, so warmly earnest, somehow, that we obliged. We loved @horse_ebooks because it was seerlike, childlike. But no: There were people behind it all along. We thought we were obliging a program, a thing which needs no obliging, whereas in fact we were falling for a plan. @Horse_ebooks was a fiction, in other words. It was about the network and it took the form of network. It was loved by many users, a semi-daily treat in their feed, and hated by others. Humans, in coded clothing. It was the most successful piece of cyber-fiction of all time. At the beginning of the piece, I recalled the question: When would blogs be art? Personally, I’m not sure this is a useful question. It’s far better to ask: What do blogs — or tweets or Facebook pages or Tumblrs — do? How do they variously represent the world? How do they change our understanding of other things we call art? When we interact with them, what are we doing? * An earlier version of this article stated that Bakkila and Bender are both Buzzfeed employees. Only Bakkilla is employed by Buzzfeed — he’s their creative director. Also, an earlier version confused the work of Erin Watson, who uses horse tweets in her poetry, and Kimberly Walters, who writes entire poems by joining @horse_ebooks tweets.